Do you realize that last month, in less than a week, we got two inches of rain? And the weather cooled, as well. Wasn’t it delightful? The animal world, the plant world and humankind here in Nacogdoches all breathed a sigh of relief. We’ve been having terrible weather of late. Last year we got a mere 25 inches or so of rain. That will hardly keep our beloved East Texas forest alive. And this year we’ll have to get nine inches in November and December just to match last year’s pitifully meager amount of rain. I’ve gone back and looked through the records and we’ve had some bad years since the turn of the twentieth century. In 1917 we got only 29 inches (approximately), 1943—30 inches, 1954—28 inches, 1963—31 inches, 1967—31 inches, 1977—32 inches, 1988—28 inches, 2008—33 inches and 2010—25 inches. One can tell by looking at these figures that, though it’s been bad before, it is really bad now. For two years in a row, we’ve been in severe drought conditions. 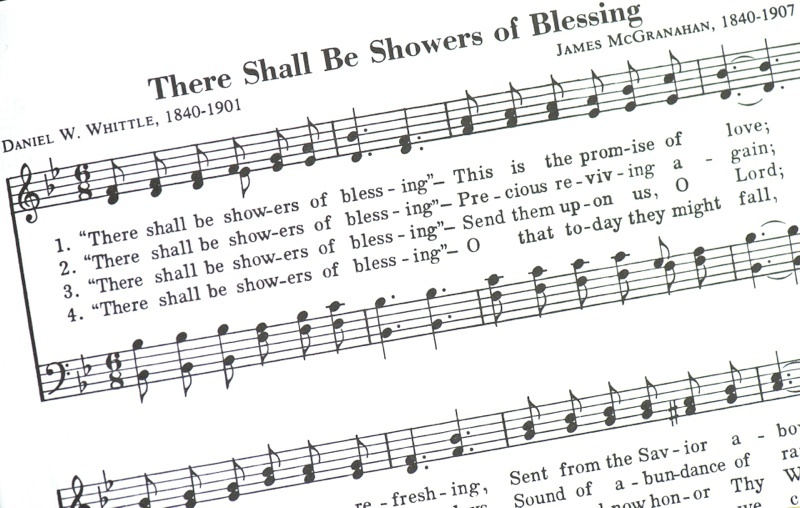 So, when we got those much-needed two inches last month, I couldn’t help but think of the old Christian hymn, “Showers of Blessing”, written by the civil war veteran Daniel Webster Whittle. The chorus of that old gospel hymn goes like this. Those rains last month were mercy drops, blessed mercy and relief. Don’t get me wrong, I’m thankful for those mercy drops. They keep us looking up into the heavens, believing it’s possible that more can come. But, oh, those two inches did not break the drought. We need showers of blessing—long soaking weeks of rain—to catch up at all. I would like to offer a few words of advice about your landscape. Continue to water your valuable plant material. Don’t forget that your landscape has a considerable monetary value, and if you let it die now all the years of investment into your property will disappear. Trees, shrubs, lawn are valuable. They contribute significantly to our quality of life. You can water very limitedly and still get them through these rough times. And when this drought is over (and it will end) you will be thankful that you persevered with judicious watering. Several things to keep in mind. Now that it’s turned cooler you may think you don’t need to water your lawn. It’s true you don’t need to water as much, but water periodically anyway. And keep an eye on your azaleas. Their root system lies just below the surface of the ground, so they dry out quickly. This would be a good time to mulch your azaleas to help the soil retain moisture. Finally, watch your trees. Some trees on your property may have died this summer. Others may be in severe stress. You can scratch the young twigs to see if there is any green under the bark. If you see any green, they are still alive and need watering. And young trees are affected by drought more quickly and need more care than do the oldsters. Someone asked me the other day when they should cut down the dead trees on their property. My answer is, unless they are endangering people or property, wait until next spring. If they don’t leaf out next spring, then they are truly gone. What a dreary thought—cutting down old trees. Let’s think happier thoughts… those mercy drops that around us fell just last month. I noticed little wildflowers after those rains, and bulbs sprouted and bloomed. This entry was posted in Words by Jeff Abt. Bookmark the permalink.